We provide Landscape Architecture and Design Services for residential, Commercial and other establishments like marriage lawns, party lawns, We use the latest tools and technology to design the open area to give it a perfect landscape. Landscaping is another area of expertise in which we provide consultation. Open area are as important as covered and we use various soft and hard landscape elements to design open areas. Our experience ranges from small building to the large sized campus planning.We promote self sustained green building concept in each project. We are a unique name in the industry to provide our prestigious clients the best grade Landscape Design Service. Our team of renowned professionals performs this service as per the requirements of our precious clients. We accept plans from several sectors such as resorts, bungalows, amusement parks, corporate houses, government establishments, villas, individuals and hotels. The unique project has been conceived with the vision to provide premium lifestyle accommodation at affordable prices to the discerning few. Designed with attention to the minutest details, Arc angle promises to be a designation where peace and tranquility meet the highest standards of contemporary urban living. 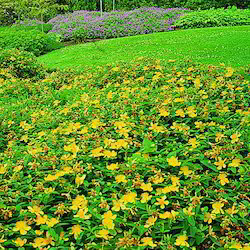 All kind of landscaping works (designing, plantation, civil works, fountains) and maintenance.